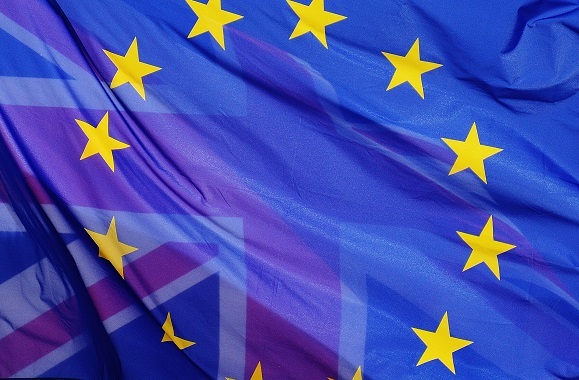 On June 23 millions of people across the United Kingdom will vote in a referendum to determine whether or not the nation should remain in the European Union, with many polls suggesting the vote will be very close. Issues around immigration have dominated UK press coverage in recent weeks and on June 20 IZA World of Labor adds its voice to the debate. In conjunction with the Bloomsbury Institute we bring together an expert panel, chaired by The Economist's Phil Coggan, to discuss the issues: Dawn or Doom: The effects of a Brexit on immigration, wages, and employment. Find out more and book tickets here. Giovanni Peri, Do immigrant workers depress the wages of native workers? IZA World of Labor Editor-in-Chief Daniel S. Hamermesh writes on his views on the economic debate and the wider political significance of a potential Brexit, "Although economics is my business, I view economic outcomes as less important than political ones. Even if, as I believe, British GDP may be 5% lower than otherwise as a result of Brexit, the UK will still be a wealthy country. The political impacts of Brexit are much more dangerous - for the entire planet, since European dis-integration would make Europe less able to function as an effective force for maintaining order in the more tumultuous parts of the world and to provide a counterweight against totalitarian regimes." Amelie F. Constant notes that "Initial skill differences make new immigrants imperfect substitutes for native labor" and that "Vacancies exist even under high employment because of mismatches between job opportunities and the ability (qualifications) or willingness of natives to fill those jobs", whilst Giovanni Peri states that "More open immigration policies, which allow for balanced entry of immigrants of different education and skill levels, are likely to have no adverse effects on native workers' wages and may pave the way for productivity growth." More articles on immigration and employment. EU funding generates 19,000 university jobs in UK, says report Read more. Who counts as an employee in the gig economy? Learn more. Children with access to books "earn more as adults" Find out more. Trade liberalization and poverty reduction; Trade can reduce poverty when accompanied by appropriate complementary policies and institutions. Economic growth itself cannot reduce poverty, though international trade can contribute to it. It is nonetheless important that the domestic environment itself realizes the poverty-reduction benefits of increased international trade. Low-wage employment; Are low-paid jobs stepping stones to higher paid jobs, do they become persistent, or do they lead to recurring unemployment? There is an open question as to how to interpret the prominence of low-paid jobs and their benefits to workers and society. The factual evidence is mixed, suggesting that both stepping stone and scarring effects of low-paid work that can be long lasting and detrimental. Do youths graduating in a recession incur permanent losses? Penalties may last 10 years or more, especially for high-educated youth and in rigid labor markets. If so, the government should be justified in spending in order to stabilize economic activity, particularly as scientific evidence from various countries has shown that rigid labor markets can reinforce the persistence of these setbacks. Migration and female genital mutilation; Can migrants help change the social norm? Despite international condemnation, FGM is still prevalent in African countries and so the question is raised as to the effectiveness of international and national laws, and furthermore whether or not migration can change migrants' opinions of such customs and if so, will these new opinions and attitudes be transferred to their origin countries. 4th World Bank/Banco de Espania Research Conference: Labor markets - Growth, Productivity, and Inequality. The conference, sponsored by Banco de España and The World Bank, will take place at the Banco de España headquarters in Madrid, on June 16 and 17, 2016. The goal of the conference is to bring together academics and policymakers to discuss labor market dynamics and their relation with growth. Bloomsbury Institute and IZA World of Labor Brexit Debate. Dawn or Doom: The effects of a Brexit on immigration, wages, and employment. Three days before the referendum, IZA World of Labor and the Bloomsbury Institute are bringing together a high-profile panel to discuss the effects a possible Brexit might have on the UK labor market and EU immigration. IZA/IAMO Forum 2016 Rural Labor in Transition: Structural Change, Migration, and Governance. The IAMO Forum 2016 focuses on the interlinkages between people's mobility across localities, countries, sectors, and types of employment, as well as local economic development. London Conference on Employer Engagement in Education and Training 2016. This joint conference hosted by Education and Employers Charity and the Edge Foundation, with support from the Department for Education (England) and the Department for Skills, will present new research on employer engagement in education and technical pathways, and explore implications for policy and practice.